Dropbox has announced a new tier in its pricing structure called the Professional account. It will sit alongside its Basic and Plus offerings as a personal account, and brings some of its more business-orientated features to the individual. Perhaps more impactful is its introduction of the new Showcase feature, which looks to replace the need for portfolio sites for freelancers and artists the world over. Could this help give Dropbox the edge over the other cloud storage providers out there? That’s what Dropbox Professional is designed to do. 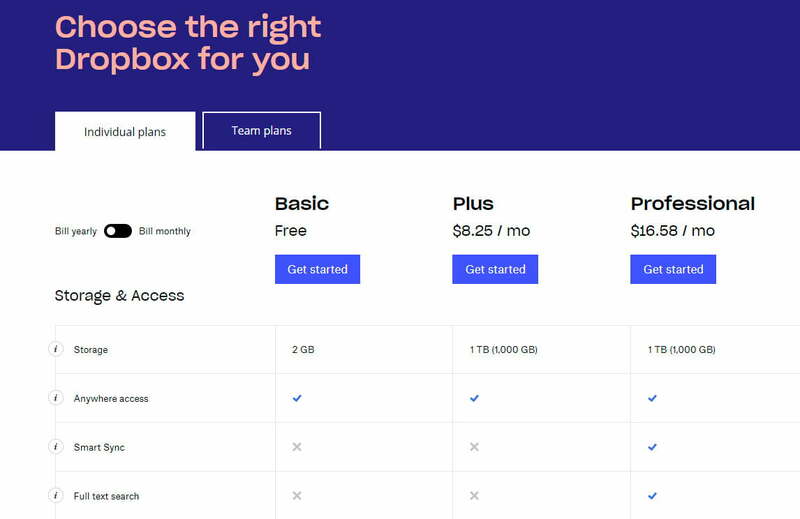 For $16.60 per month, Dropbox Professional offers a terabyte of storage space, all of the same features as existing Plus subscriptions, as well as priority chat support and a 120-day file version history for emergency recovery. It also provides access to the new Showcase feature. Showcase acts as a digital portfolio page and platform for collaboration and comment. It makes it possible to build a custom page within Dropbox that offers easy access to your documents, images, videos, and files in a manner that’s customizable by the user. Two of the testimonials Dropbox made available to us were from photographers, an industry where Dropbox clearly believes its Showcase feature will be particularly valuable. Showcase allows photographers to create customized portfolios of images with accompanying commentary or captions. These portfolios could be customized for the intended audience, letting them tailor the work and how it’s perceived for each client. The Showcase interface is built upon a simple what-you-see-is-what-you-get style of management — you tick boxes for content you want to use within it and drag and drop those files into position within the template. There are also different designs you can opt for to highlight content in various ways. It doesn’t just have to be about images and photos. Regardless of profession, Dropbox believes the Showcase is a great way to share work of all kinds. Because Showcases are automatically updated with the latest version of a file, you can display your work in an easy to access and viewable manner. Make changes to the file locally after receiving feedback, and the digital portfolio page will be automatically updated. 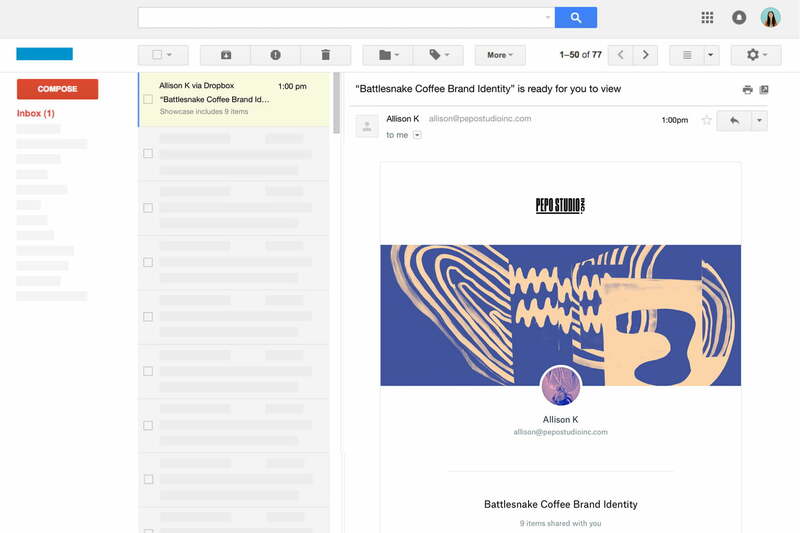 When you’re ready to share you work, you can send it through a customized link or email, the latter of which is delivered with your own specific branding. The big question we had for Dropbox after its presentation was: “Why use Dropbox specifically?” If a user has their own website, they can do all of this themselves in a space that they already pay for. Analytics are built right into the Dropbox Professional experience, letting you see who has viewed what files and when. That way, if you send someone a Showcase or an individual file, you know when they’ve viewed it and therefore when you can expect feedback. Through the new administrative features, you can also control who can access your files and what they can do with them. You can choose who can view, who can comment, and who can edit files directly. 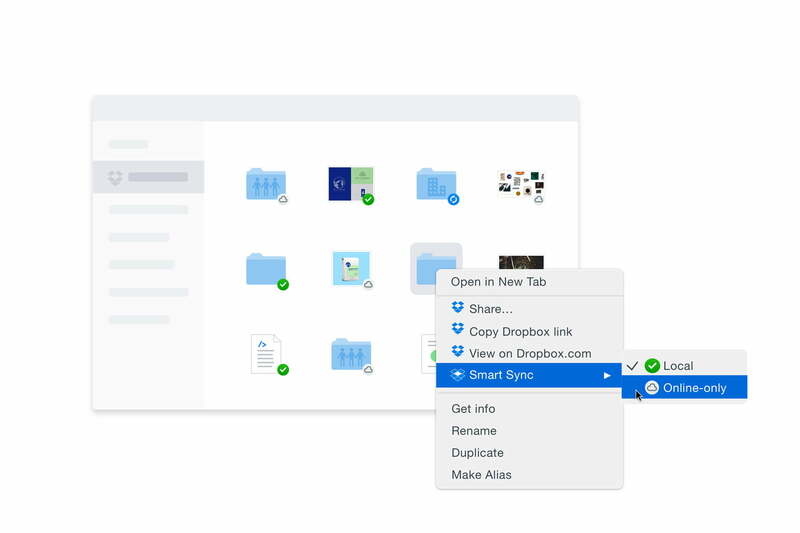 One of the other premium features Dropbox is introducing with Professional accounts is “Smart-Sync.” It allows a user to save on local storage space by keeping files with Dropbox and only downloading them to the local drive as needed. There’s also optical character recognition, which allows users to search through the contents of scanned documents, even if they’re stored as images. “I could jot notes on a piece of paper, take a picture of it, and then scan it through the Dropbox doc scanner ,and I could go ahead later and search through the text on that,” Carriero explained. All of that is available for double the price of the Dropbox Plus account. Professional represents an expansion of Dropbox into a more nuanced space than its traditionally split individual and business plans. 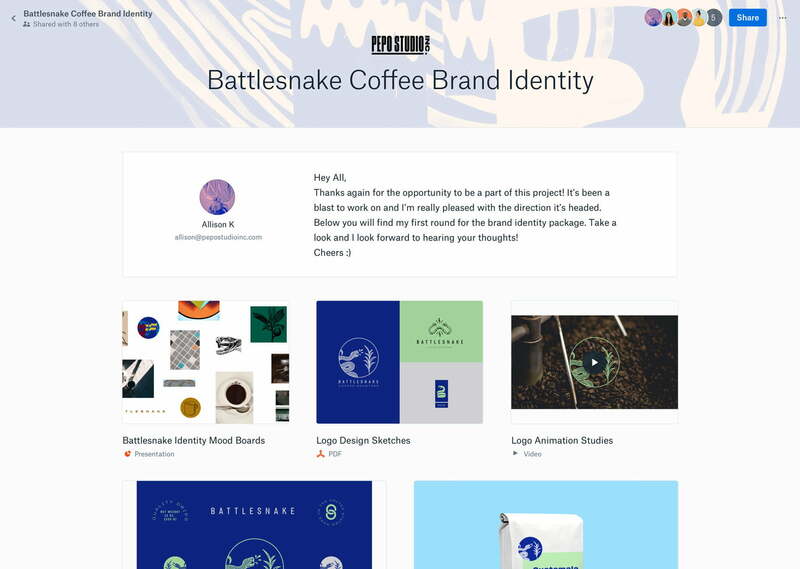 This rebrand was heralded earlier this month when the company released its latest advertisement, which clearly targets freelancers and creatives. It’s those “professionals” that Dropbox is targeting with its latest account type. If you’re considering Dropbox or Google Drive as your cloud storage provider, give our comparison guide a read. Updated 10/19/2017 by Jon Martindale – fixed minor typos.